Seeme & Liz > Parenting Tips (0-2 year olds) > The Best Books To Read To Babies To Enhance Language Development! There are literally thousands of books for babies. But how is a parent to decide which are the best books to read to babies? And, why is it important to read to a baby? If you want to know the answer to this question click here! The books selected were chosen because they are great for language development. I’ll be sure to explain why they can be beneficial to learning to speak. 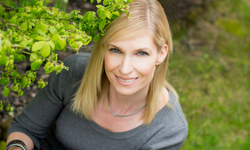 Speaking about language development, I need to make you aware of a pet peeve of mine. I really do not like books for babies (actually, make that all children) that use incorrect grammar, or are written the way a young child (with a speech impediment) would speak. 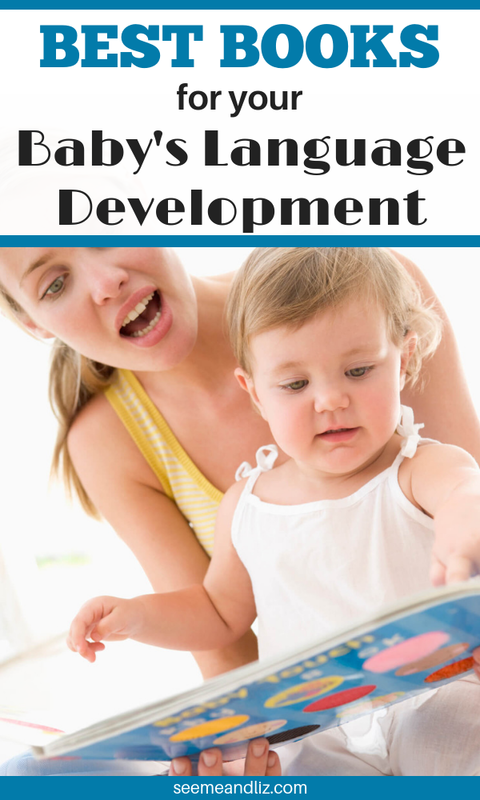 The whole point of reading books to your little one is to facilitate language development. So why read a book that uses incorrect grammar? It’s also how I feel about speaking to a baby this way. Now that I have got that off my chest, let’s get started. There are many types of materials available for baby books since they need to be durable. 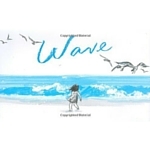 You can choose from board books, cloth books, vinyl/plastic books and indestructible books! The books in the categories I will be discussing will come in a variety of these materials! For more information about the books I have listed or to purchase one, click on the book title link or image! I used repetitive phrase books regularly in my language therapy sessions with toddlers who were late talkers. From a language development perspective, these books are excellent for learning single words and simple phrases. 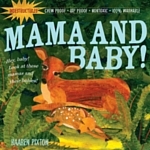 Until your baby starts vocalizing and using a few words, just read the book making sure to pause, enunciate and use expression where appropriate. The sentences are typically quite basic and short (if they aren’t, feel free to improvise and shorten them). Remember, a child needs to hear a word hundreds of times before saying the word himself. Once your baby is over 12 months, start omitting one of the repeated words and see if she will either fill in the word (it might not sound like the actual word), vocalize or gesture. A fabulous and well known repetitive phrase book is Brown Bear, Brown Bear by Eric Carle. If you aren’t familiar with it, the lines that repeat are “_____ ______ what do you see?” and “I see a ______ looking at me”. The blank underlines are for the animal names that are used in the book. I have underlined “see” and “me” as these are the words you would leave out to see if your little one can fill them in with a word, vocalization or gesture. When reading a book such as Brown Bear, use gestures with your words whenever possible. For example, each time you say the word “see”, point to your eyes. When you say “me” point to yourself. That way if your baby/toddler isn’t saying any words when you pause and wait, maybe she will point to her eyes for “see” and herself for “me. Blue Hat, Green Hat (Sandra Boynton) – The repeating word in this book is “oops”. Little ones find this really funny and love filling it in! Just Like Daddy (Frank Asch) – The repeating phrase in this book is “Just like Daddy”, however you could only omit the word “daddy”. For a complete list of repetitive phrase books click here. Did you know that the ability to rhyme is a great emergent literacy skill? And most young children actually enjoying hearing rhymes (including nursery rhymes) and making up silly rhyming words themselves. 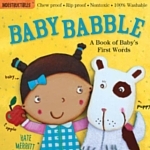 Many books for babies include rhymes. As with the repetitive phrase books, you can start omitting a word here and there (one in a pair of rhyming words, e.g. sun-run) as your baby gets older to see if he will fill in the blank. 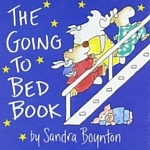 Sandra Boynton was one of my children’s favorite authors. Her books are short, catchy and full of rhymes. 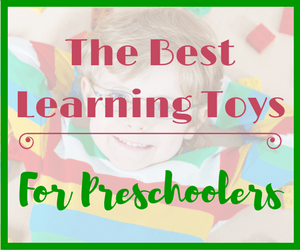 Here are just a few that you will want for your baby’s first library! Books with only pictures and no words are great for babies. Some picture books simply show the picture of a noun (or a few) on each page, while others are more of a story, but without the words. 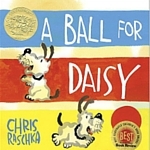 Picture books allow the parent/caregiver to make up their own story. As your baby gets older and starts using words, he can label what he sees, answer questions, or make up his own story! These books typically are organized by category (e.g. food, toys, animals, etc. ), or color (all read things on a page, all blue items on another, etc.). Each page contains a few pictures of common items within a particular category. The written label of the word is often found above or beneath the picture. 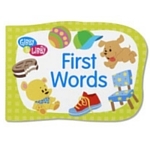 First words books are nice to work on pointing and joint attention as well as labeling of objects. When your baby is a bit older (12 months or more) you can ask questions like “where is the _____?” However, you can do this with just about any book. I wouldn’t focus too much on these types of books as they fall into the same category as flash cards. I do not believe a baby or young child truly learns from flash cards. 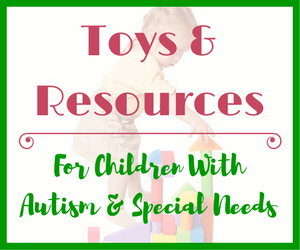 However, these are still books and will help introduce your little one to concepts such as how to hold a book, turn pages, etc. So there is nothing wrong with having one or 2 of these types of books in your baby’s collection! TotMart Baby Activity Soft Book – this book is made of cloth and has a handle with beads on it. 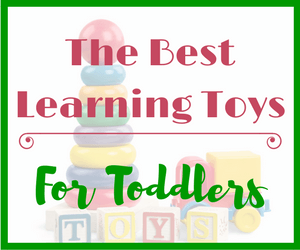 This makes it nice to give to your baby to explore with her hands and mouth! You can also quite easily make your own First Words book. I did this with my daughter. Simply take a few pictures of common objects you have around the house (e.g ball, keys, chair, blanket, bottle/cup, etc. ), print them out and put them in a small pocket style photo album (most dollar stores have these). Let your baby play freely with the book (album). If you are “reading” it together be sure to label each picture! These books are becoming much more popular now. There weren’t really many around when my kids were little. You could buy some books that had pockets where you could insert a picture of your child, but that was about as personal as it would get. Now there are companies such as Put Me In The Story and I See Me that allow you to make a personalized book for your baby. These kinds of books make great gifts as well! Both Put Me In The Story and I See Me offer a variety of books from “Welcome to the World” to Goodnight Stories and many more. You can also get products such as personalized growth charts and books for older children! I hope I have been able to help you discover the best books to read to babies from a language development perspective. But of course, any book is great! This is such a great post, and so helpful for new mother’s life myself. I like your selection of books, rhyming books are so fun. The personalized books are really great! I had actually not heard of these before. What a great gift idea! I like how you included tips and ways how to read to your baby as well, very informative. Not something I ever really paid attention to. Thanks Jenny! I also wasn’t aware of personalized books when my kids were little. Other than the generic ones where you can add your child’s picture into empty slots in the book. Reading to children starting from birth is one of the best ways to develop language and learn new skills! I agree with you in that I also hate it when books, (and people! ), speak to children in a way they think children speak. How are they supposed to learn if proper grammar isn’t used?! I can see how repetition would be key. It’s kind of the same for adults when you think about it. I like the idea of a toddler making up their own story to picture books too. What a great way to challenge their imagination at a young age! I’m glad I am not the only one who can’t stand books that use incorrect grammar. My son is 9 now and into Captain Underpants. He’s not big into reading so when he mentioned wanting one of these books I said yes right away (anything to get him reading). But then I regretted that choice as I didn’t realize there are so many misspelled words anytime a child is talking in the book. It’s frustrating because my son struggles with spelling so this does not help. Thanks for your comment Ashley! This is a great list of books for babies and toddlers and it gives new parents an idea as to what they can be reading to their children! I didn’t realize that there are certain ways to read books to little kids to get them talking. 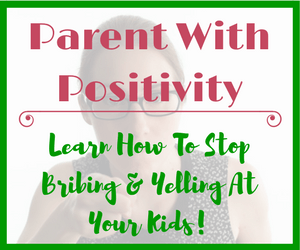 I bet this will be eye opening for many parents. It sure was for me! A big wave of nostalgia hit me when I saw some of these titles though! We had just about every Sandra Boynton book there is, and from what my mom tells me I loved them :)! I love that they are still around. I also think the personalized books are really cool, I’ve never heard of them but I imagine kids really love it!!! Reading to a baby is a great way to promote language development in a fun and natural way! 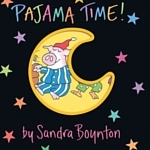 I’m happy to hear that you still remember your Sandra Boynton books! They really are great on so many levels. I’ll be forwarding this to my aunt, we have my nephew’s 1st birthday coming up and this article is what made up my mind on what to get him. I’m quite involved in his life and don’t want to just get him more toys that won’t be played with. 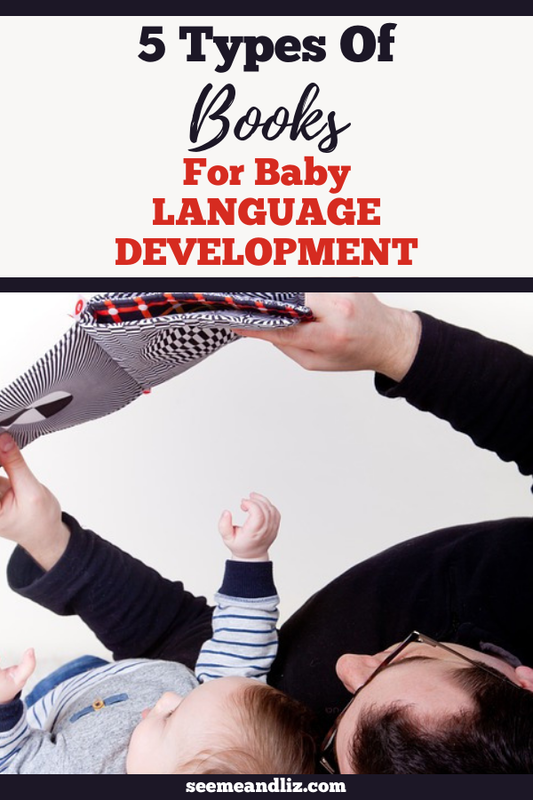 Books are a great idea and I love that you outlined books for babies that will help with their speech and language development. Thanks for your suggestions on how to read these books along with all the knowledge and expertise you shared. Love the site and have bookmarked it. Lots more to learn! Much appreciated. Gifts for a baby or one year old should be simple. In fact, the simpler the better! I’m glad that you enjoyed the article and are considering getting your nephew some wonderful books for his birthday! I am sure he will love them. I think that you have put together a really great site here. 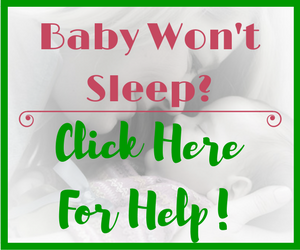 There is always a huge number of people looking for help when it comes to their kids. Also, really happy to see the Brown Bear Brown Bear What Do You See? made it on your list. That was one of my favorite books as a kid growing up. Thanks for your comment! Brown Bear Brown Bear should be on every child’s library! Thank you for this post. I am a mother of a 2 1/2 year old and I have been searching for books to help her with word pronunciation, increasing vocabulary and tap into her imagination a bit. I went through book stores and online stores but it just left me confused. I love that you categorized the books for easier selection. Question though, I notice you mention books for babies. What age group do you recommend these books? Thanks for your comment. Although the title of the article is The Best Books To Read To Babies, you can certainly read these books to your 2.5 year old! Repetitive phrase books are always great for increasing vocabulary and working on sentence structure. Try not to worry too much about pronunciation with your daughter at this point. It is normal for children to not pronounce words properly at this age. I would focus more on expanding her vocabulary at this point!